Gudhi Padva is a Hindu Marathi festival that signifies the beginning of traditional New Year for Maharashtrian and other Marathi community all over the world. 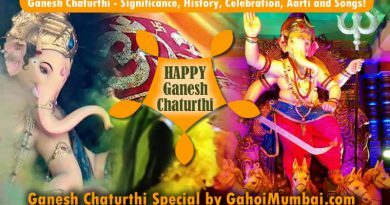 It is celebrated in and near Maharashtra on the first day of the Chaitra month (March or April) to mark the beginning of the New year according to the lunisolar Hindu calendar. The word padava or padavo comes from the Sanskrit word pratipada or pratipada in Sanskrit, which refers to the first day of a lunar fortnight. 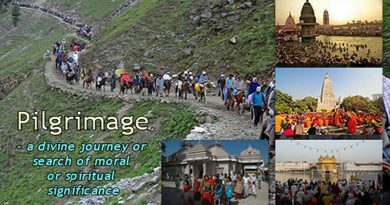 The festival is celebrated with vibrant decorations called rangoli, a special Gudhi flag (garlanded with flowers, mango and neem leaves, topped with upturned silver or copper vessel), street processions, dancing and festive foods. It is celebrated in various states with different name as New Year beginning for them. It is known as Ugadi (Andhra Pradesh and Telangana Telugu Hindus), Yugadi (Konkani in Hindus Kannada), Cheti Chand as the emergence day of Lord Jhulelaal (Sindhi Community), Samvatsar Padvo (Hindu Konkanis of Goa and Kerala), Navreh or Navreh (Kashmiri Pandits), Sajibu Nongma Panba Cheiraoba (Manipur), Puthandu (Tamil Nadu), Bihu (Assam), Naba Barsha (West Bengal), Pana Sankranti (Orissa), Vaisakhi (Punjab) etc. As per legend, Gudi Padva indicates the arrival of spring and to the reaping of Rabi crops. As per to Hindu legends, on the day of Gudi Padwa, Brahma created the universe. It is also believed that it was on this day that Lord Rama killed Bali. As per other legends, it observes the coronation of Rama in Ayodhya after his victory over evil Ravana. It is also signifies as the start of Shalivahan calendar after he defeated the Huns invasion in the 1st century. As per Anne Feldhaus, in rural Maharashtra the festival is linked to Shiva’s dance and coming together of the community as they carry the Gudhi Kavads together to a Shiva temple. Uninhibited cheerfulness marks the celebrations of Gudi Padwa. There are numerous rituals and traditions that are associated with the celebration of this festival. How to make Gudi: A distinguished sight during Gudi Padwa are the abundant Gudi (or Gudhi) arrangements at each household. A bamboo staff or gudhi is erected in front of the house. A new cloth is then tied to the gudhi. A bright garlanded vessel is hung on top of it. This is symbolic of achievement. It is a bright colorful silk scarf or saree like cloth tied at the top of a long bamboo. On top of it, one or more branches of neem leaves and mango leaves are attached along with a garland of flowers. This arrangement is capped with a silver, bronze or copper pot (handi or kalash) indicating victory or achievement. The whole arrangement is hoisted outside each household, typically to the right, or through a window or terrace. It is visible to everybody. This gudhi is faithfully worshipped and the Prasad is distributed among all the members of the family. The Prasad that you will get in any of the Maharashtra households on the occasion of Gudi Padwa which is made out of tender Neem leaves, tamarind, Ajwain, gram-pulse and jaggery. As per faith, this Prasad strengthens your immunity system and you can fight diseases better. It signifies the victory of King Shalivahana over Sakas and was hoisted by his people when he returned to Paithan. Gudhi denotes the Brahmadhvaj mentioned in the Brahma Purana, because Lord Brahma created the universe on this day. It may also represent Indradhvaj. Traditionally, the Gudhi signifies Lord Rama’s victory and happiness on returning to Ayodhya after killing Ravana. Since a symbol of victory is always held high, so is the gudhi (flag). It is believed that this festival is celebrated to commemorate the coronation of Rama post his return to Ayodhya after completing 14 years of exile. So, people celebrated triumph of lord Rama every year by raising Gudhi. Gudhi is sign of victory of lord Rama. Gudhi is believed to defend against evil, invite prosperity and good luck into the house. In some Villages, a community Gudhi Kavad who go to the local Shiva temple. On the day of Gudi Padwa, after tying Gudi at house, everybody wakes up early in the morning and clean their homes (with cow-dung in rural areas) and beautify the floors with strikingly drawn rangolis. Some even prefer to keep a pot with coconuts, flowers and mango leaves just outside their home. Everybody clad themselves in new clothes as well. Customarily, families prepare a special cuisine that mixes various flavors, particularly the bitter leaves of the neem tree and sweet jaggery (gur). Added ingredients include sour tamarind and astringent dhane (coriander) seeds. This, like the pacchadi recipe used in Ugadi festival, is eaten as a reminder of life’s sweet and bitter experiences, as well as a belief that the neem-based mixture has health benefits. Maharashtrian families also make many other festive cuisines such as shrikhand, Poori and Puran Poli on the auspicious occasion of Gudi Padwa. Gudi Padwa Special Dishes and Cuisines: There are a lot of cuisines which are prepared on the occasion of this festival. Puranpoli: Maharashtrian’s festival specific dish or cuisine is mouthwatering Puranpoli. It is a flatbread stuffed with the goodness of jaggery and chickpeas, cardamom, saffron and nutmeg. Here Recipe of Puranpoli. Shrikhand: It is the Indian version of flavoured yogurt, only too tasty and mouthwatering. It makes for a Gudi Padwa special sweet that is loaded with the flavours of fruits like mangoes, berries and melons along with adding dry fruits to make it rich and heavy. Sabudana khichdi and Vada: Sabudana is the main ingredients for making festival dishes in Maharashtrian households. People love making sabudana khichdi using peanuts, ghee and sabudana on this day. While some may like deep-fried sabudana vada, which makes for a famous snack dish. Here a recipe of Sabudana Vadaand Sabudana Khichdi. Aam Panna: Maharashtrians welcome spring season, which means the onset of mango season. The tangy and sweet Aam Panna made using boiled raw mango and mixing the pulp with sugar, spices and water makes for an integral part of Gudi Padwa. It also makes for a perfect drink for beating the heat. Batatyachi Bhaaji: It is a spicy dish or cuisine made from boiled potatoes, mustard seeds, curry leaves, chilies and asafoetida. This bhaaji is then enjoyed with puri on this special occasion. Chana Usal: It is prepared by cooking sprouted and boiled black grams in a host of spices. It is tangy, spicy and crunchy and has a distinctive texture. 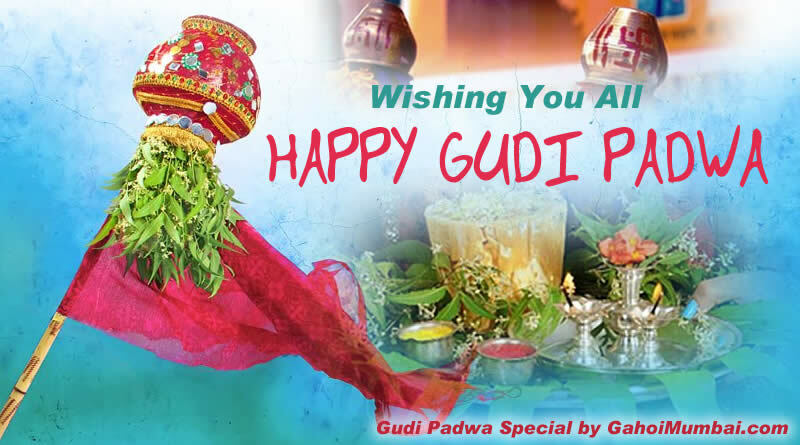 We wish you all Happy Gudi Padwa for success and prosperity. This year, Gudi Padwa to celebrate on 6th April 2019. ← Healthy tips for summer – a rising temperature season! 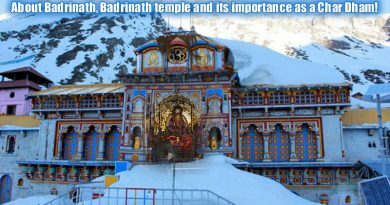 About Badrinath, Badrinath temple and its importance as a Char Dham!